The game of hockey should be a source of fun and enjoyment for a child. However, some well-meaning parents actually place a great deal of pressure on their children without even being fully aware of the impact of their actions. The Car Ride Home can be one of the most critical aspects of the connection between parent and the player. A simple question meant to encourage your own child, can be interpreted as an outburst on a coach, teammate or their own performance. 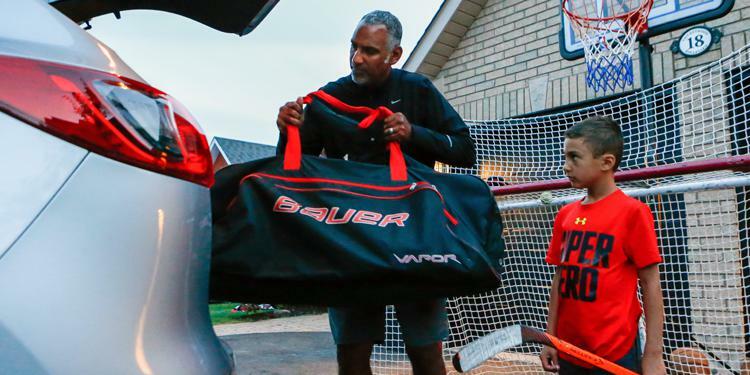 Most kids know when they have had a bad game and hearing from their parents how much it costs to have them in hockey and “playing like that”, can create added stressors and build negative connotations towards the game. The only exception to the above ‘Ride Home’ rule is when your child engages in behaviour that you would not accept at home, such as spitting, cursing, assaulting an opponent, or disrespecting a coach or authority figure. “In these cases you should initiate the conversation, not as a parent to an athlete, but as a parent to a child. Even then you must be careful and considerate of the emotions of the match, and choose your words wisely. Deal with the issue, and then put it to bed; do not use it as a segue to a discussion of the entire game,” says John O’Sullivan, author of Changing the Game: The Parents Guide to Raising Happy, High-Performing Athletes and Giving Youth Sports Back to Our Kids. No one is suggesting that the drive home be silent, or there not be any mention of the game or practice on the drive home, but if you as a parent are feeling angry or frustrated, then perhaps a simple “how do you feel about the game today” and see where that goes, is sufficient until such time as you are in a better place to have the more meaningful in-depth discussion. 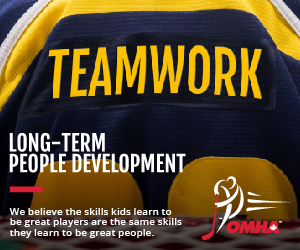 Hockey is supposed to be fun, and a great opportunity to engage kids in sport for life. Parents have significant influence in a child’s hockey experience. Fortunately, most parents are great with the kids, their biggest fan and supporter. That’s the way it should, through the good days and the bad.